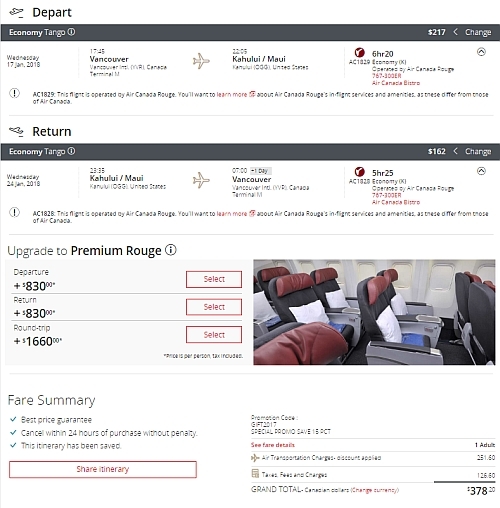 Air Canada's Boxing Day promo code brings the price of non-stop flights from Vancouver to Maui, Hawaii down to $378 CAD roundtrip including taxes with Air Canada Rouge. non-stop flights from Vancouver to Honolulu for $396 CAD roundtrip. 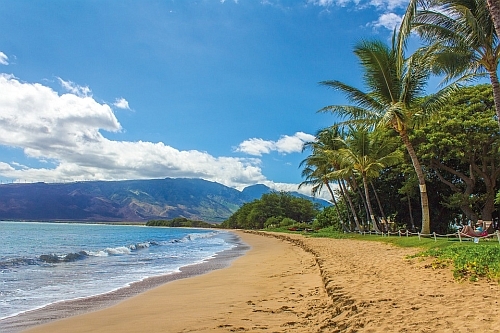 1-stop flights from Victoria to Maui for $352 CAD roundtrip. 1-stop flights from Victoria to Honolulu for $372 CAD roundtrip. They should be $423 roundtrip or less. vancouver, yvr, flight deals, hawaii, united states, maui, ogg, north america and air canada rouge.